In Victoria, Tabcorp Holdings operates keno games, distributing draws to eligible hotels, clubs and wagering outlets throughout the state, as well as the approved simulated racing game known as Trackside. Keno games in Victoria run every 3-3.5 minutes, and incorporate a double-or-nothing feature, which is called Heads or Tails. There’s over 701 keno outlets and 1268 keno terminals in Victoria, located throughout clubs, hotels and other gaming venues. We’ve listed the most populated cities below – if your location isn’t listed head you can use the venue locator on the Keno website. Before the draw begins, you need to select your own numbers (or opt for the ‘kwikpick’ option). You can choose between 1-40 numbers, with pay-tables and payouts differing depending on how many numbers you choose to play. Keno games in Victoria offer jackpot payouts if you play 7, 8, 9 or 10 numbers per game. You can also select the ‘even’ option (that there will be an equal amount of numbers drawn from both halves), which pays quadruple your original stake. You can also play multiple entries during the one draw (keno advanced), where you combine groups of numbers to increase your chances of winning, and can also significantly boost your bonuses x2, x3, x4, x5 and x10. The minimum bet per game is $1. You can check out the step-by-step rules on how to play land-based keno in Victoria here. Melbourne’s very own Crown Casino hosts keno games which are displayed on screens throughout the gaming area, and players can join in the fun from the electronic keno terminals which take cash and casino vouchers. 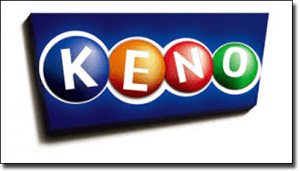 While land-based keno is highly popular and entertaining, it does not offer the best odds. For superior odds and higher payouts, real money online and mobile casinos are your best option. Online keno games come in all shapes and sizes, including classic titles such as Keno and Traditional Keno, variations such as Krazy Keno, Klub Keno, Instant Keno, Bonus Keno and Keno3, and live dealer keno, too. With far fewer overheads to worry about than brick and mortar casino venues, online casinos are able to increase potential payouts across their keno games, and also add unique flavours and twists such as jackpot bonuses and double chances. Betting limitations are also far more flexible. Live dealer keno is one of the most popular and exciting variations of the classic Chinese game, with draws hosted by real human croupiers who call out the numbers as they fall from the hopper, all streamed in real-time and in high definition, directly to your screens. Watch and partake in the fun, with the pay-tables and diverse betting options all displayed clearly and coherently. Secure and globally trusted banking methods are available to use for all your financial transactions (to deposit and withdraw money from your casino accounts), including credit and debit cards, e-wallets, pre-paid cards and vouchers, and direct wire transfers via online banking systems. Register an account at G’Day Casino to check out the live dealer keno games and start enjoying the perks of online gambling from your desktop, laptop, mobile, tablet and Smart TVs.